Annual Return (Form 11) is a summary of details of Partners and Designated Partners and changes among them during the year. An LLP is required to file the Annual Return with the Registrar of LLP (Form 11) within 60 days of closure of its financial year. An LLP has to close its financial year on every 31st March. So, the Annual Return is to be filed on or before 30th May every year. 1.Filing of returns is mandatory whether the LLP has done any business or not. 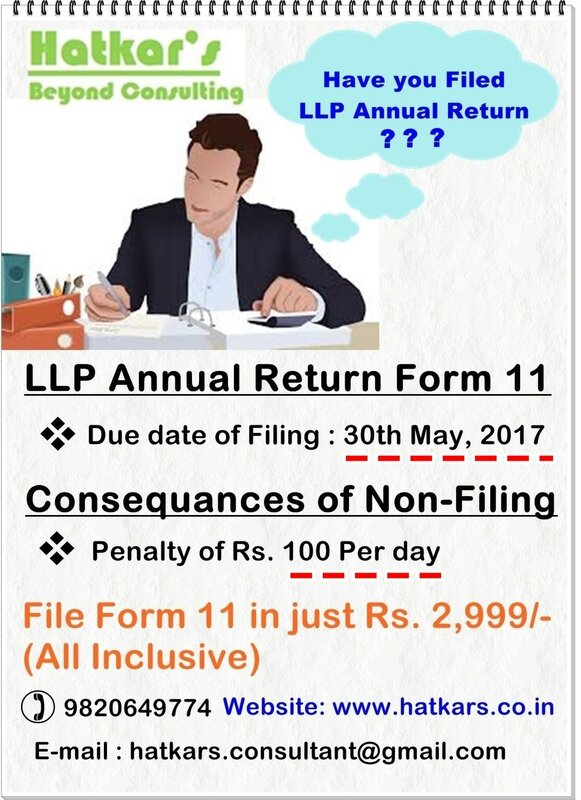 In case of an LLP not carrying any business, it is required to file a NIL return. 2. Delay in filing Form 11 will attract penalty of Rs. 100 each day. ​2. Copy of Bank Statement having entry of transfer of initial capital to current account. 2. 100% Payment will required before starting of assignment.